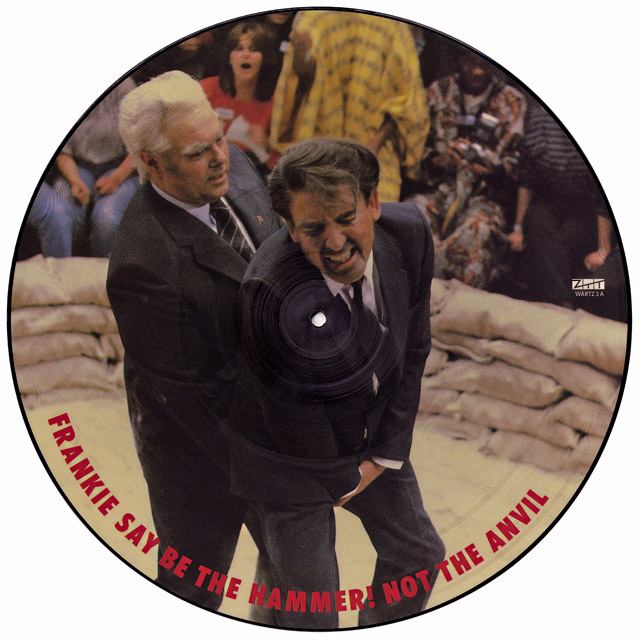 artist: Frankie Goes To Hollywood title: War (Hidden) / Two Tribes (Carnage) format: 12″ single design: XLZTT photography: AJ Barratt (front) / John Stoddart (back) cat. no: WARTZ 3 date: 16/07/84 art of notes: This was the third 12″ remix released whilst the song was still at no.1 but swapped the A side for a remix of the B. 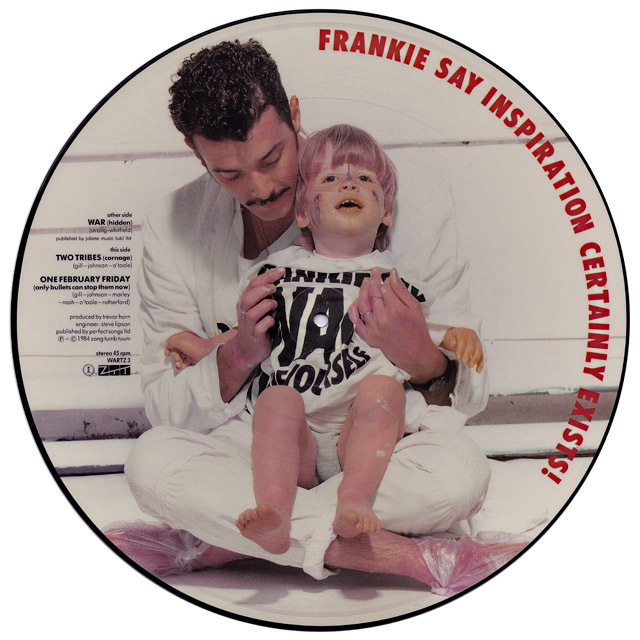 To my knowledge the picture disc version was available before the regular sleeved version.